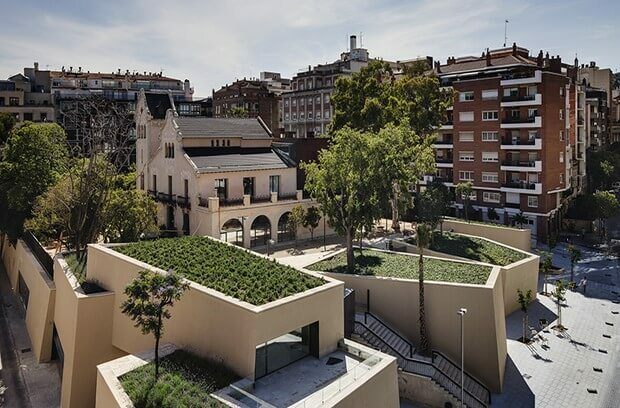 The new library of Sant Gervasi-La Bonanova neighbourhood in Barcelona is placed in the building which occupies the garden of Vil·la Florida Civic Center, partially buried to maintain the identity of the project. 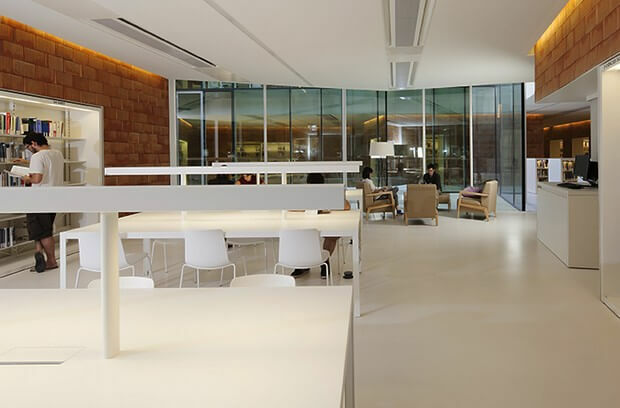 The project by Baena Casamor Arquitectes has been named Garden of Light, and it is shaped by “light and silence patios” and “books and knowledge patios”. 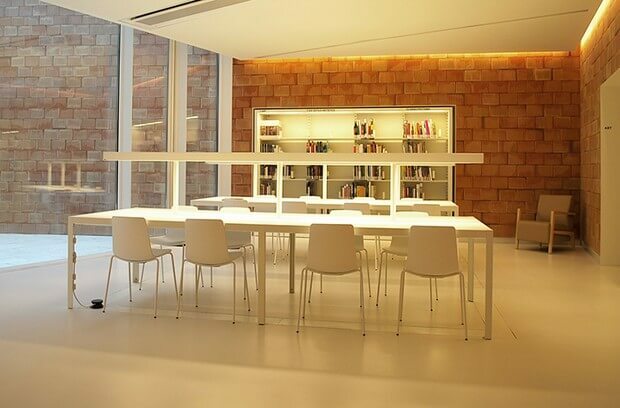 The first, surrounded by glass, light and ventilate the interior while isolating the library from the street. The second, solid prisms filled with books, are part of the supporting structure of the library. 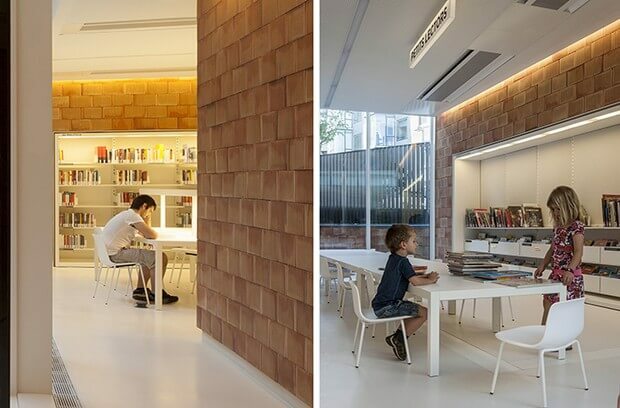 Among the courtyards and the volumes, indoor reading and work spaces are articulated. 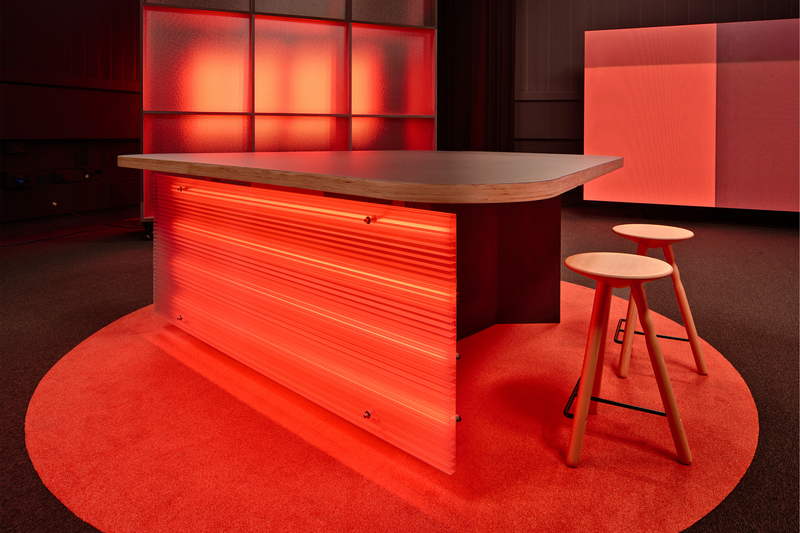 Areas that should be small, seeking to provide a comfortable feeling of domesticity to their users. The interior is solved easily with little textures; ceiling, floor, furniture and walls are white in general, while the face that hide concrete retaining walls and structures of the building are covered with clay tiles. This porous material, sound absorbent and warm, reminds us that it is a half-buried building carved into the earth. 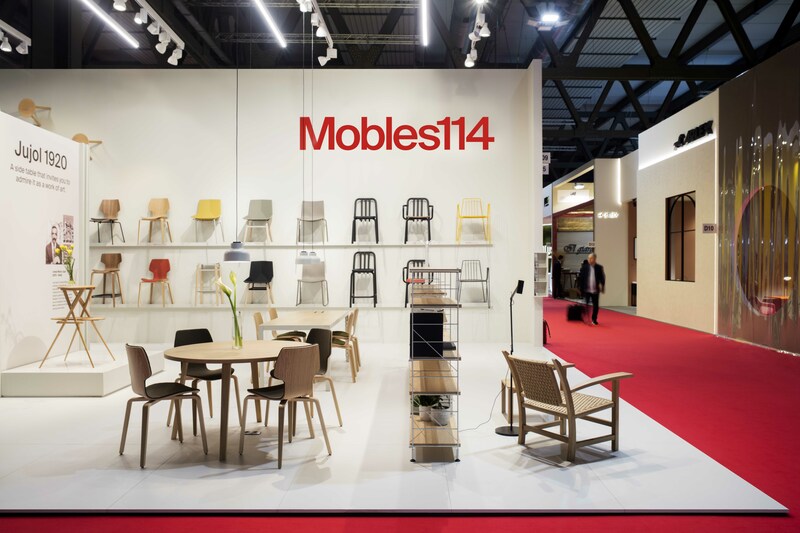 mobles 114 participates with PEY office table system with integrated lighting and some contract furniture such as Riga waste bin. More about the project at the web mobles 114.